Archaeologists recently analyzed 115,000-year-old bone tools that were discovered in China. The ancient artifacts hint at the possibility that prehistoric humans were likely much more sophisticated than previously thought. 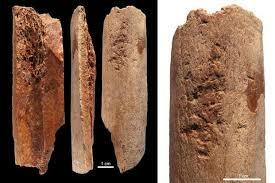 Till now, the oldest bone tools discovered in China, which were spears, dated back to 35,000 years ago. However, according to a new study which saw researchers analyze the 115,000-year-old artifacts, these bone tools act as evidence of prehistoric humans having mastered sophisticated tool-making techniques. “Prior to this discovery, research into the technical behaviour of humans inhabiting China during this period was almost solely based on the study of tools carved from stone," Luc Doyon from the University of Montreal’s department of anthropology said in a statement. The marks discovered on the ancient bone tools indicate that humans living in China during the early stages of the Late Pleistocene period already knew the various mechanical properties of bones and how to use them to fashion tools. According to researchers, these humans were neither Neanderthals nor were they Homo sapiens. The ancient Chinese bone tools, which were excavated between 2005 and 2015 at the Lingjing site in central China’s Henan province, were found buried 10 meters underground. Researchers analyzed seven bone fragments and identified three different types of bone retouchers, also known as soft hammers. These were used by prehistoric humans to modify stone tools. The first type of soft hammers was found to be weathered limb bone fragments. 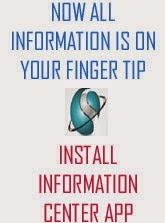 Researchers discovered that these were somewhat shaped by retouching and used intensively in one single area. The second type was long limb bone flakes which likely came from large mammals that were dismembered. These were used to reshape or retouch stone tools. Finally, the third type was a sole bone fragment that came from the antler of a deer. Researchers are yet to determine the species of early humans that made and owned these prehistoric bone tools. At present, all that is known about this group of hominids is that they lived alongside Neanderthals and Homo sapiens. Fortunately, however, researchers say that the ancient artifacts were very well preserved and they expect further analyses will likely lead to more discoveries.